Cong (Irish: Conga, from Cúnga Fheichín meaning “Saint Feichin’s narrows”) is a village straddling the borders of County Galway and County Mayo, in Ireland. Cong is situated on an island formed by a number of streams that surround it on all sides. Cong is located on the isthmus connecting Loughs Corrib and Mask, near the towns of Headford and Ballinrobe and the villages of Neale and Cross. Cong is known for its underground streams that connect Lough Corrib with Lough Mask to the north. It was also the home of Sir William Wilde, historian and father to prominent playwright, novelist, poet, and short story writer Oscar Wilde. Cong is the home of Ashford Castle, a luxury hotel, which was converted from a Victorian faux lakeside castle, built by the Guinness family. Ashford Castle is a tourist attraction in its own right. 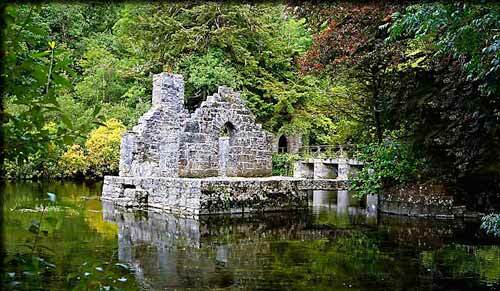 Cong also features a ruined medieval abbey, Cong Abbey, where Rory O’Connor, the last High King of Ireland, spent his last years. It also is the origin of a piece of Celtic art in the form of a metal cross shrine called the Cross of Cong. The ‘Cross of Cong’ is now held in the National Museum of Ireland, Dublin. There is a High Cross in the village. Cong was the filming location for John Ford’s 1952 Oscar-winning film, The Quiet Man, featuring John Wayne, Maureen O’Hara and Barry Fitzgerald. 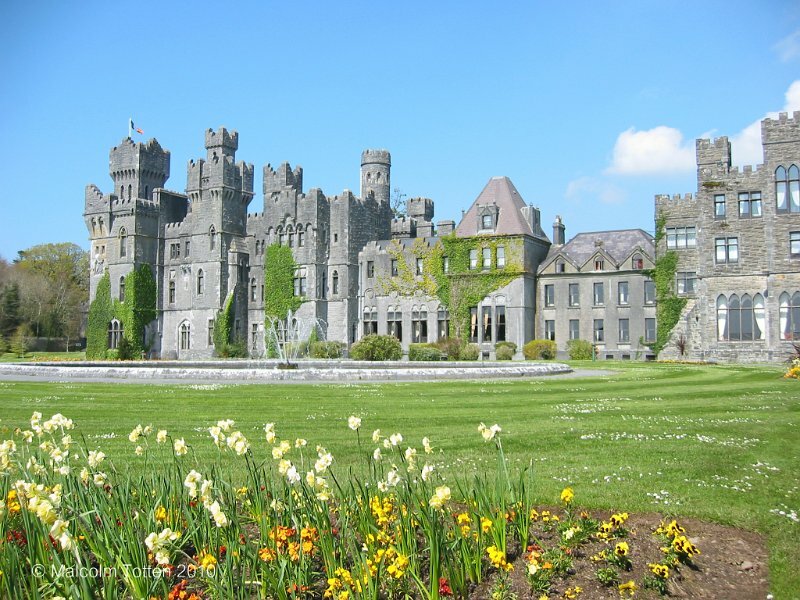 Much of the movie was filmed on the grounds of Ashford Castle. The town and castle area remain little changed since 1952, and Cong’s connection with the movie make it a tourist attraction. (The movie is still celebrated by the local “Quiet Man Fan Club”).